Axiom Elite competes in the best boys/girls basketball showcase and exposure tournaments and qualifying track & field meets locally and nationally. We strategically plan and "Commit" to participate in events where confirmed JUCO, NAIA, NCAA Division I, II & III coaches will be attendance. Axiom Elite runs a competitive girls and boys basketball organization dedicated to equipping student athletes with the solid basketball skills and on court exposure necessary to compete collegiality. 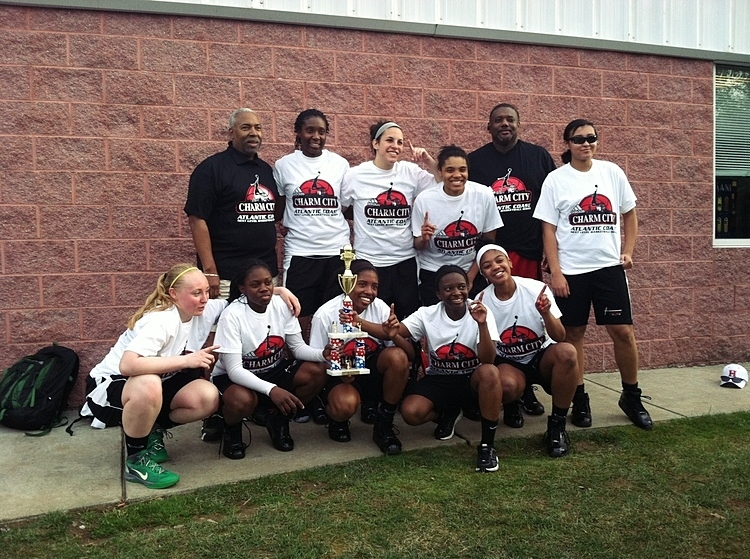 Our exposure teams are for the experienced ball player who desires to play college basketball. While no single program is the right fit for every student our team demands excellence and we provide our athletes with the most collegiate exposure possible including participation in NCAA sanctioned events. We have dedicated coaches, position trainers, academic advisors, speed/agility/conditioning trainers and college recruiting experts. Axiom Elite strives to position our athletes for the best opportunities to make their college basketball dreams reality. We assist our athletes in communicating with colleges throughout the entire recruitment process. That includes alerting a school that an athlete is interested and helping arrange profile distribution packages, visits and games. Although it is important for the parents and athletes to be knowledgeable and fully involved in this process the Axiom Elite staff works diligently to position the student athlete for the right school and appropriate fit. Each athlete develops a plan, sets measurable goals and executes them to achieve individual and team success. Axiom Elite takes an active role in developing young basketball players to their fullest potential, while teaching them to compete with courage, fair play, and leadership on and off the court. Our athletes participate in mental strength and conditioning training with a licensed, professional sports psychologist in preparation for college and producing their best game. By pursuing excellence in sports, our young athletes develop work ethic and maturity that will last a lifetime. We believe in the pursuit of excellence in the development of the life skills of the athletes in our organization as well as their academic and athletic abilities. Axiom Elite Girls Basketball adopts the “PASSION” Principles crafted by WNBA Veteran and Axiom Elite trainer, Rushia Brown. To be the best, on and off the court, you have to have that "something extra". It's called PASSION. Boys basketball tryouts are OPEN. Contact us to tryout/workout for an open spot. Competitive Track and Field for aspiring athletes to compete towards USATF Junior Olympics & AAU Hershey Championships. Experienced conditioning and technical coaching staff and Local & Developmental meets included. Our coaches are committed to the success of each athlete. They are NCAA Certified, Trained in CPR & First Aid and experienced in coaching elite athletes. Coach Kevin is a 30 year veteran of the game and is in his 3rd season with the Axiom Elite program. Kevin provides strategic leadership to the all teams and athletes. He directs the evaluation of athletes for scouting and next level development. Under his direction He led the 17U team to the Summer league champions, 15u Spring League Champions, VIT Champions and progressive wins in 2017. Mr. Patterson serves as the liaison between college recruiters and the Axiom Elite athlete. Alysha has coached the Axiom Elite boys basketball high school team for 3 years and successfully led them to a summer league championship victory since 2015. In 2012 Alysha co-founded, Axiom Elite, the first girls showcase basketball program in Loudoun County Virginia with the successful goal of acquiring a college scholarship for every girl. Her experience and careful consideration of each athlete brings to the forefront untapped talent. Coach Alysha is known to many as a basketball phenom. She is recognized by ESPN as a top recruit and additional sports media outlets as a phenomenal athlete. Alysha is a graduate of Riverdale Baptist High School, she is a ESBC All-American, Roundball Classic All Star, NACA All Tournament Team, and Three Time National Champion capturing the 2014 national championship at Madison Square Garden. "To Support Collegiate & Athletic Success for Each athlete." Our teams are competitive. Committed athletes deserve an opportunity to excel as college bound student athletes. Their overall development requires personal, financial and academic commitments. The Axiom Elite program has combined key exposure acumen and skill development components into each team to measure progress and produce optimum results. For any questions about the Axiom Elite Organization and how to become a member of the Axiom Elite Family, please contact us through the form below.